Bathrooms aren't usually the first room in a home, you would associate with being smart but that's not to say they can't be. QUEO - the purveyor of bespoke bathrooms has introduced the world’s most indulgent shower experience, the ‘Queo SmarTap’. The latest QUEO offering has created the first and only complete smart bathing system, delivering a sensational experience. 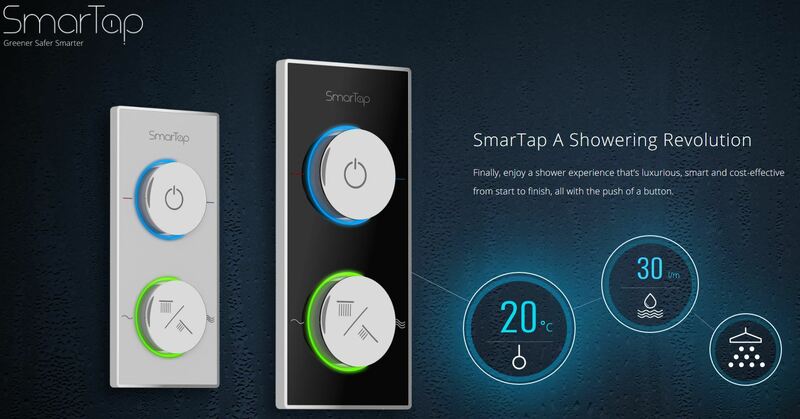 Queo Smartap’s technology manifests itself in pure luxury and comfort and lets users enjoy a perfect flow of water, at the exact right temperature, sustained throughout their shower. To add to the experience the Queo Smartap’s creates an ambience of relaxation with customized music and the perfect shower scenario. This avant-garde bathing system can also regulate the shower, bath and sink to create a synchronized bathroom tailored to tunes to match your hair-flips while you shower. This extremely tech-savvy shower system can be controlled through a smartphone app, voice commands via Amazon Echo or manual digital controllers. The system is highly intuitive and brings the shower at the users’ fingertips, by learning their lifestyle and creating countless shower scenarios through its smartphone app. Whether it is the wetness of mist, a tropical downpour or the thrill of a roaring jet stream, the three Outlet Controls of SmarTap ensures a rich and indulgent experience. Hot, cold, quick and relaxing, the SmarTap app lets consumers define countless bathing scenarios tailored to their preferences, each one with a personal user profile.